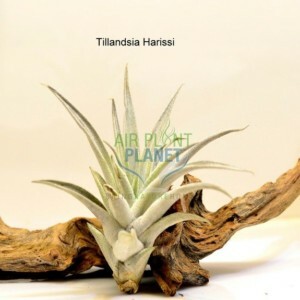 The Tillandsia Bulbosa truly is a dark beauty of an air plant. It features lovely tendrils that are a gorgeous shade of deep green that appear to move and wave as you admire it. 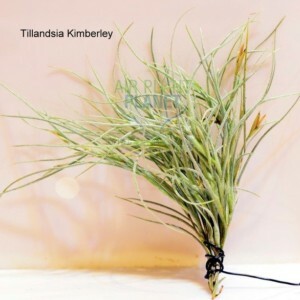 The Tillandsia Bulbosa is a beautiful addition to any home or office. 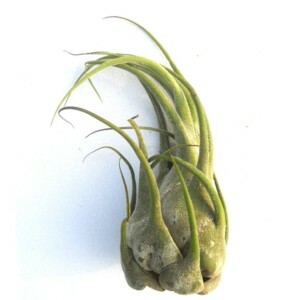 Some have said that it resemble a sea creature with its smooth, long arms. 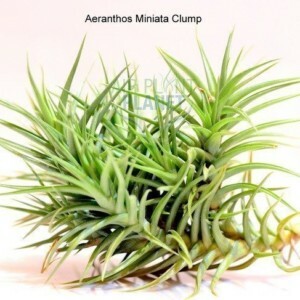 Its leaves are flat and form a fun bulbous shape at its base, and wind out to its long outstretched arms. 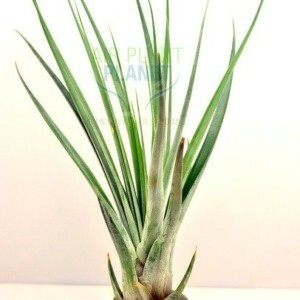 Its base leaves are often highlighted with a lovely shade of plum and will produce a bright red bloom and brights violet petals when it flowers. 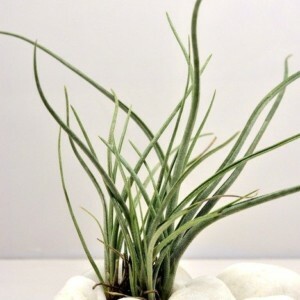 After the Bulbosa has flowered, it will produce plant babies called Pups.  Pups should not be removed until it is half to two-thirds the size of its mother. 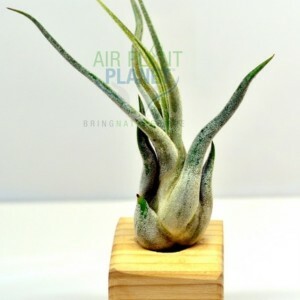 bulbosa is best plant u can have,,,u can hang it upside down or in any angle…the plant is very healthy and leaves are green…..